Watch out! Here comes Peppy Pets! This adorable pup comes a spring in its step with your help. 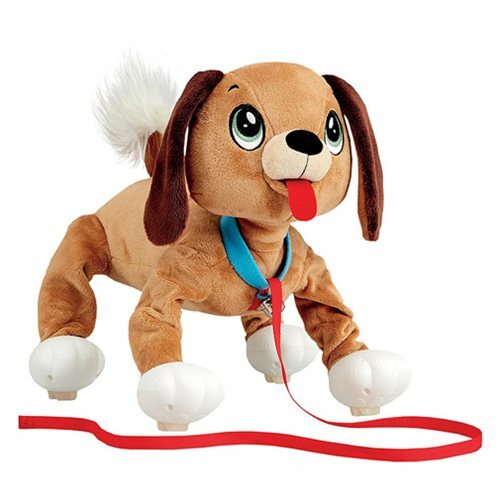 Use the puppy's included leash and as you walk, watch the Peppy Pup follow along with a bouncy walk. This Peppy Pets Brown Pup Plush requires no batteries. Ages 2 and up.